I will be moving all of my items to my Etsy Shop over the next few weeks. This will make it easier to keep track of orders, and provide a more reliable way for customers to track shipments and contact me with questions. Product information pages will remain here, but all ordering links will direct shoppers to Etsy for checkout. 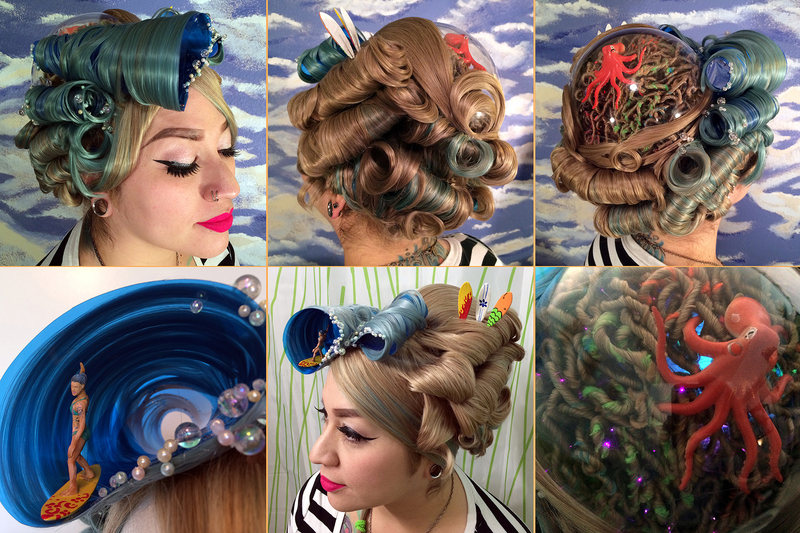 All of the entries are in for the third round of Arda Wig’s Iron Wig competition. This was a freestyle round, so we were allowed to do anything except use wig fiber that wasn’t part of the materials sent for the round. 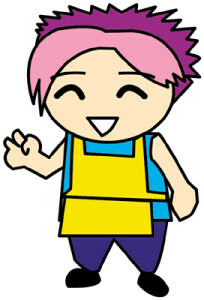 (Which was a Jeannie wig in Magenta.) Since I got 1st place in the previous round, I was awarded immunity. This means I was able to take a risk and try something TOTALLY INSANE without worry of being eliminated if the judges didn’t like it. 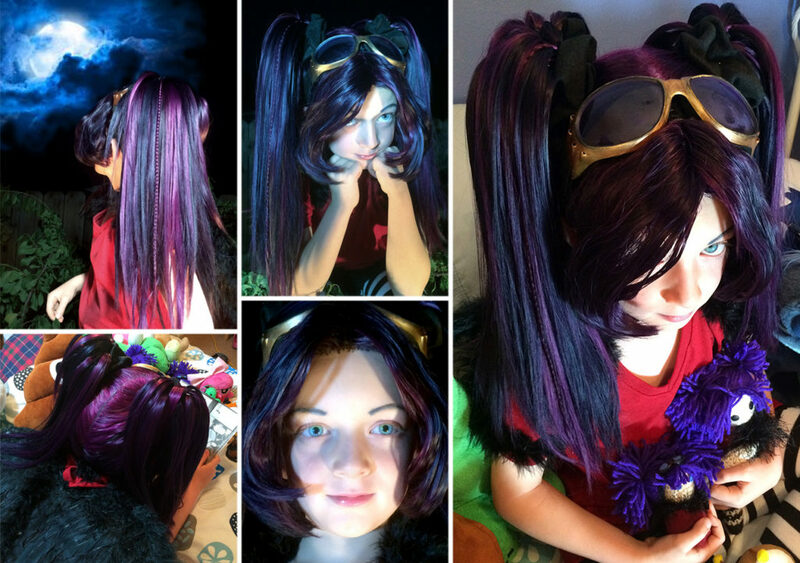 There is no glue, foam, or hairspray in this wig. 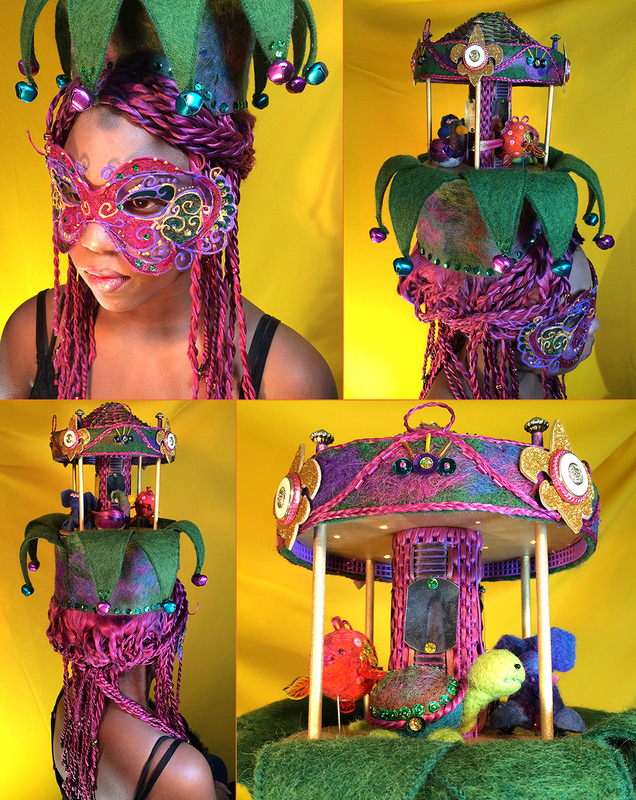 I took my felting technique to the next level with fabric and wet-felt effects, and everything was dyed using my own Petting Zoo Wig Dye. I also figured out how to dye the fiber a “lighter” color than the original shade through an optical illusion! 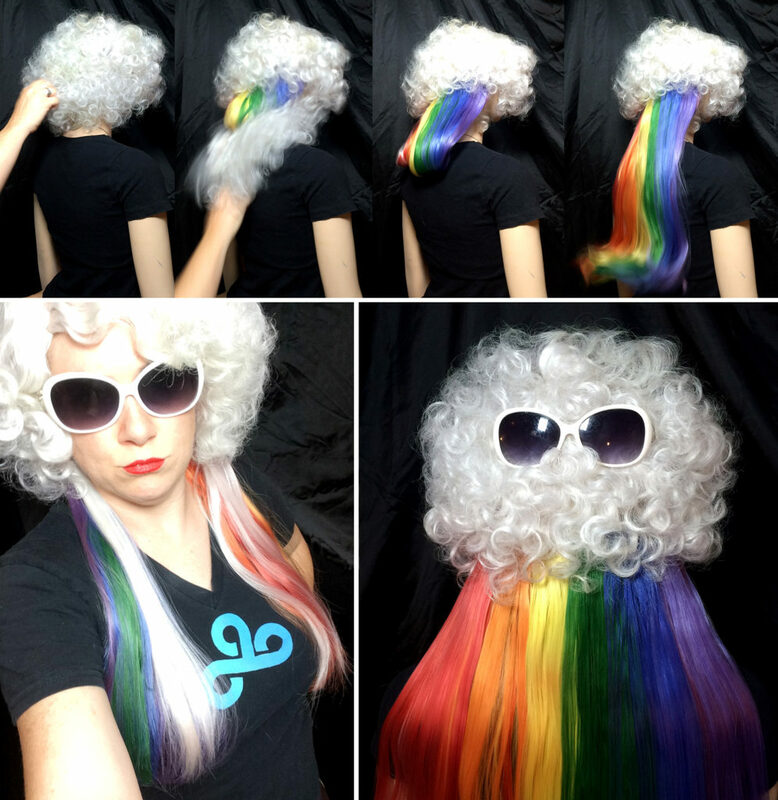 Even with the time handicap, I managed to complete my entry for the Seasonal Dye Challenge round of Arda Wig’s Iron Wig competition. I chose summer as my season, because I rarely ever see summer chosen in competitions like this. This is my representation of an old man’s memory of his childhood, on a summer’s day. Specifically, an old man who is losing his memory due to Alzheimer’s. The world of that summer day is small, reduced to just a hill and a tree in his mind. The details are fuzzy, the proportions are off, but the colors and the warmth are clear. 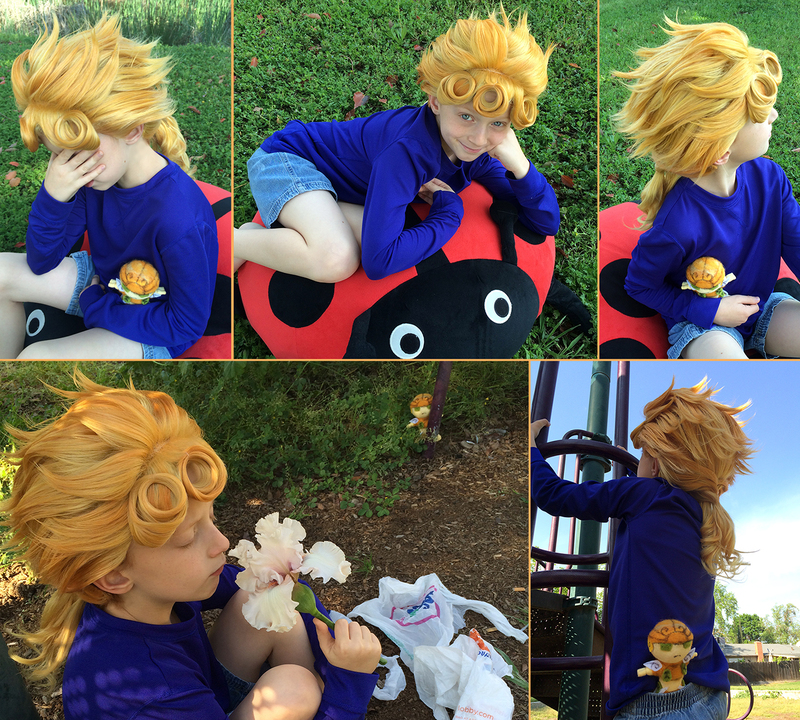 Everything you see is made of wig fiber; there is no glue or foam. 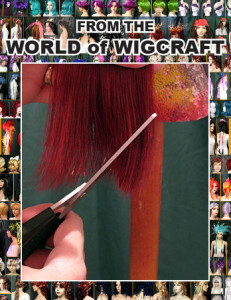 The fuzzy details were needle felted using fiber from the wig, and everything was dyed using my own Petting Zoo Wig Dye. 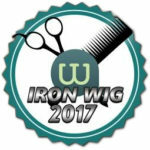 Iron Wig 2017 Round 1 is Over! I just discovered this morning that my entry was submitted late, which means I will be penalized 25% of my total score. I’m not gonna lie, that’s a huge chunk of points, and I was quite bummed to find that out, especially since I thought I had until noon to send my photos in. (It was noon CENTRAL time, not local time.) But my son made it to school on time with breakfast in his tummy and brushed teeth. So I’ll take that victory. 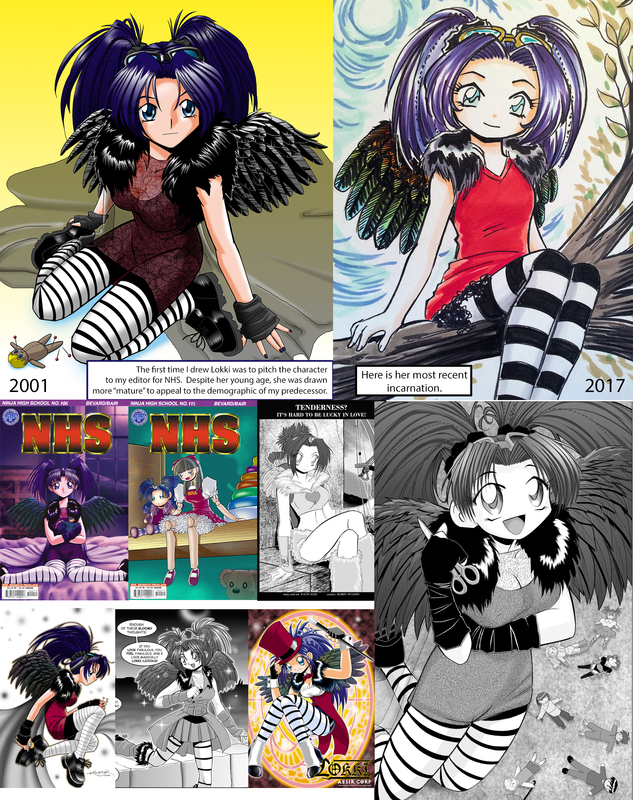 Here is my entry for Round 1. 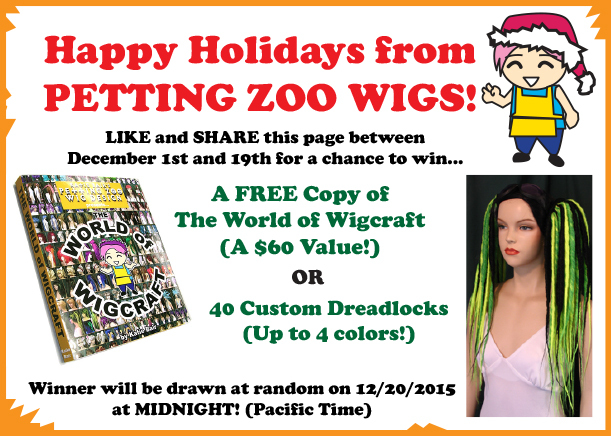 I will be selling any wigs I make during this contest and donating the money to Valley Children’s Hospital. I will also be giving away any gift certificates I receive, so keep an eye on my Facebook Page for more details later on. It’s official! 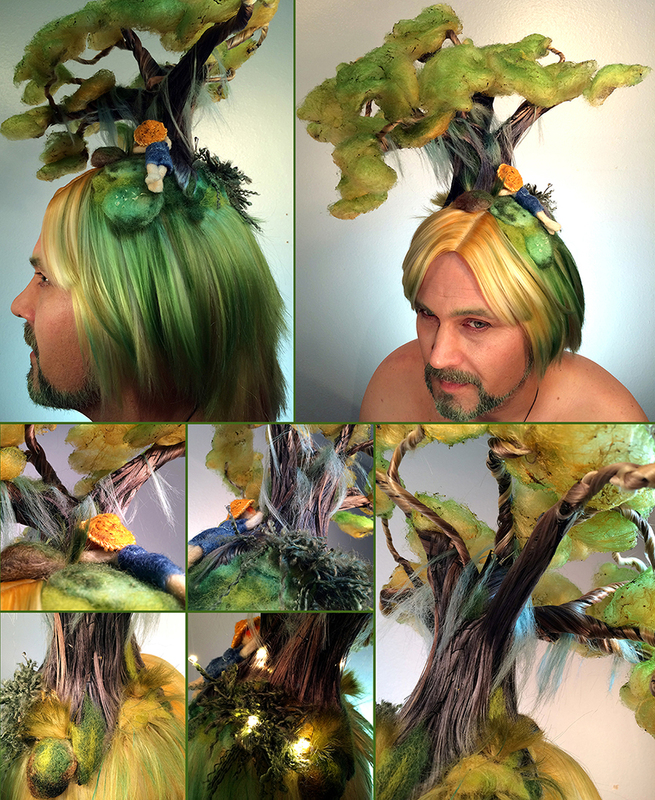 My entry has been accepted for Arda Wigs wigmaking competition, Iron Wig 2017. I’m both excited and nervous at the same time. Excited because I really enjoy a challenge, but nervous because I haven’t done any really crazy wigs in a while, and I’m worried I’m out of practice. But maybe it’s like riding a bike? Made of fiber? I’ve also finished testing to see how well Petting Zoo Wig Dye holds up to steam sealing, and I’m very pleased to report it is rocking it. As a result, I’m now able to make true ombré dreadlocks, instead of just transitionals. This is extra exciting for crochet style dreads, where the process is normally too “knotty” to make ombré dreads with gradient fiber. Folks can also use my dye to change the color of their dreads after they’ve been sealed, by dip-dyeing them, then setting in the color with hot air: the new color stays even through a steam re-sealing. Etsy Shop and Holiday Goodies! To commemorate the opening of our new Etsy Shop, we’re doing a little giveaway this month. Just click on the image below to be taken to our Facebook Page, then LIKE and SHARE the page to enter for a chance to win! 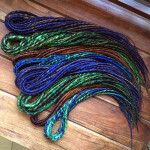 Katie has been busy making dreadlocks for Christmas, and we have listed some of the completed sets. 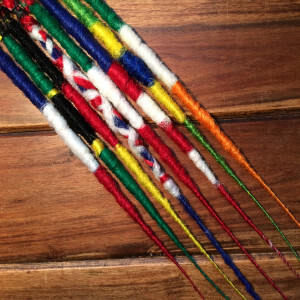 In the next few weeks, we’ll be adding more, including holiday colors, and crochet style sets.